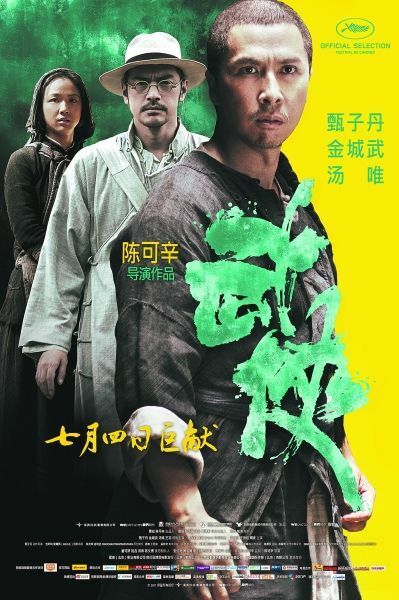 In a remote Chinese village, ordinary paper maker Liu Jin-Xi (Donnie Yen) lives with his wife Ayu (Wei Tang) and two sons. When two bandits attempt to rob a nearby general store, Liu Jin-Xi happens to be nearby and comes to the store's defense. 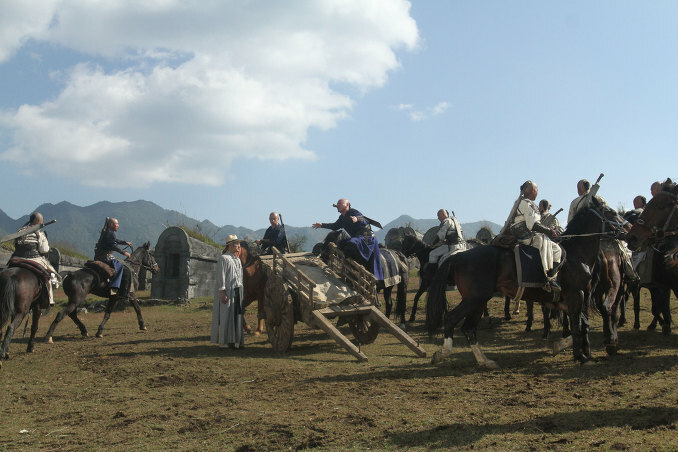 The final result of the battle is that the two bandits are killed by Liu Jin-Xi. Press conference for "Wu Xia" took place at the 2011 Busan International Film Festival on October 9, 2011. Appearing as speakers are director Peter Chan, actress Wei Tang and actor Takeshi Kaneshiro. AsianWiki editor Ki Mun was there and transcribed/translated the session. Peter Chan: Hi Busan, it's good to be back here. I haven't been here in over 10 years. "Wu Xia" has already been released in China and other parts of Asia. I'm glad "Wu Xia" is finally coming to Korea. Thank you. Wei Tang: Hello, I'm glad to meet you. I attended the Busan International Film Festival last year and I think I had a press conference here in the same place. 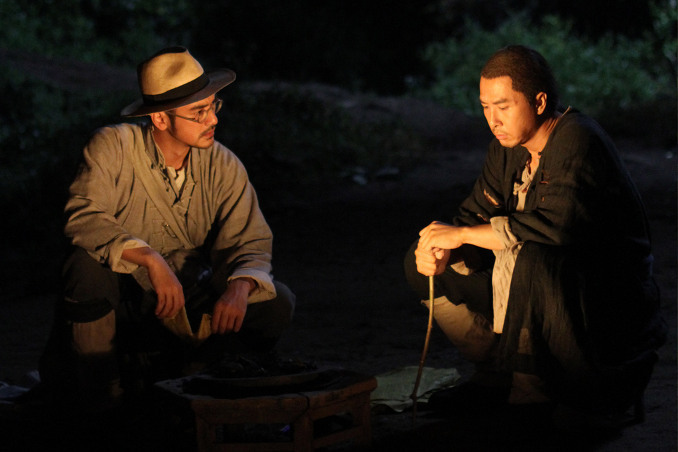 I'm happy to have participated in "Wu Xia" with Takeshi Kaneshiro and Peter Chan. I hope you will like the movie. 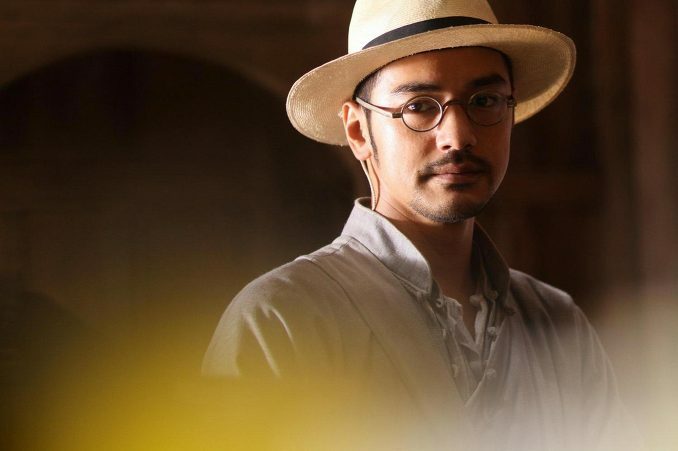 Takeshi Kaneshiro: Hello. This is my first time visiting Busan. I hope you will love the movie. Thank You. Press Question: For director Peter Chan. 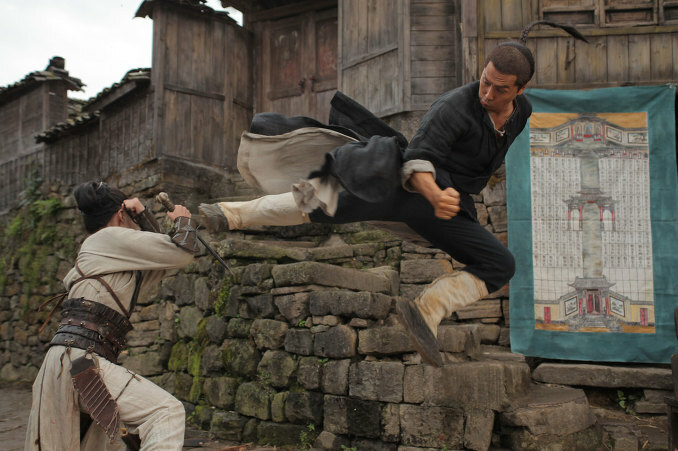 It was great to see a classical martial arts film. I thought it was impressive to have Jimmy Wang Yu in the film. Do you have any personal relationships with him or specific reasons for casting? Peter Chan: I think one of the main reasons for making this film is sort of like a homage to an era of films I grew up with. It is almost retro in a way - to things I watched when I was young. I think Jimmy Wang Yu is certainly one of the most important figures or person, even for Bruce Lee. He was like the first action hero I've known. If I'm not mistaken he's probably the first person I saw on the big screen with "The One-Armed Swordsman" back in 1967. Another reason I made this film is to have a certain aura that reminds me of the old films of the past. 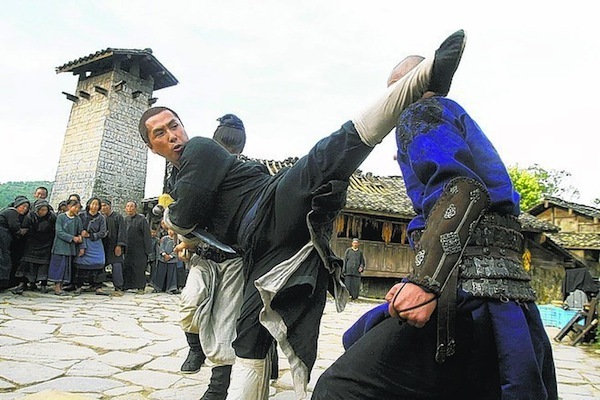 I never thought I was a big martial arts fan, but remembering things ... every kid in my generation, Chinese or Asian, has to go through martial arts films. So it is deeply rooted at least subconsciously. Press Question: Fo Wei Tang. You came to the Busan International Film Festival last year and now this year too. There are a lots of good film festivals in China. How would you compare the Busan International Film Festival and what are some of your impressions? Wei Tang: - I haven't acted in many films, so I can't say that I have been to all of the film festivals. I do have the impression that BIFF is big and successful. BIFF is becoming similar to other film festivals overseas and hopefully BIFF develops in the future. Press Question: For Takeshi Kaneshiro. This is your first time coming to the Busan International Film Festival. What are your impressions of BIFF? Also, "Wu Xia" is your third time working with director Peter Chan. The prior two movies were melodramas. Tell us about the differences? Takeshi Kaneshiro: Prior to coming here I heard a lot of things about BIFF. I'm excited and happy to to be here. In fact, this is my first appearance on my schedule so I haven't yet had the chance to experience everything. I expect to get a better feel for BIFF going forewards. Answer to your 2nd question. Peter Chan tries different things and challenges. I think the director is developing himself. Press Question: What is "Wu Xia" in the director's opinion? For Wei Tang. You were here last year with Hyun-Bin. 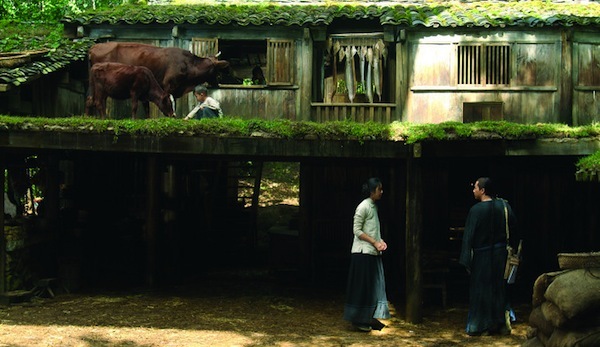 This year with Takeshi Kaneshiro. Tell us about the differences between the two actors. For Takeshi Kaneshiro. 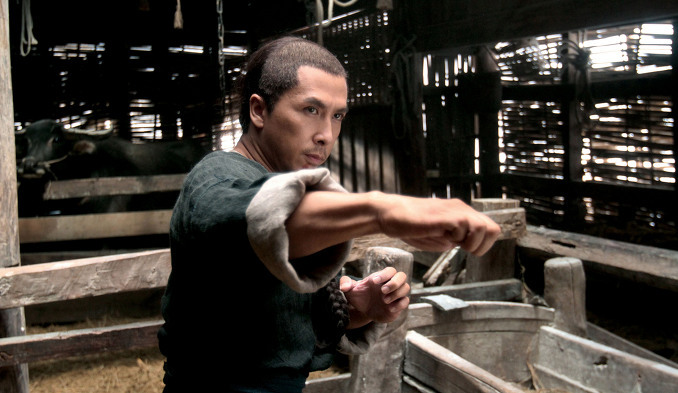 How good is Donnie Yen's martial arts and could you tells us a little more about him? Peter Chan: - Like I said, I confessed I was not a huge or typical traidtional wuxia fan while growing up. But we all have our own interpretation of what wuxia is. To me, it is the charm of 1960's and 1970's Shaw Brothers movies. To me it is really looking back at that era. With stars like Jimmy Wong Yu and directors like John Chow. 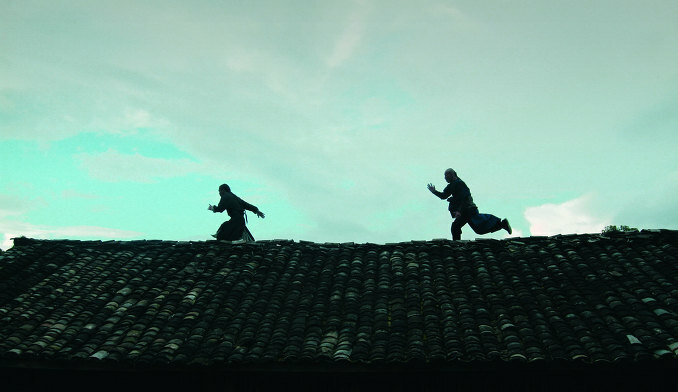 You see that from the film, although it is called "Wu Xia," it's sort of demystifying the typical martial arts genre. 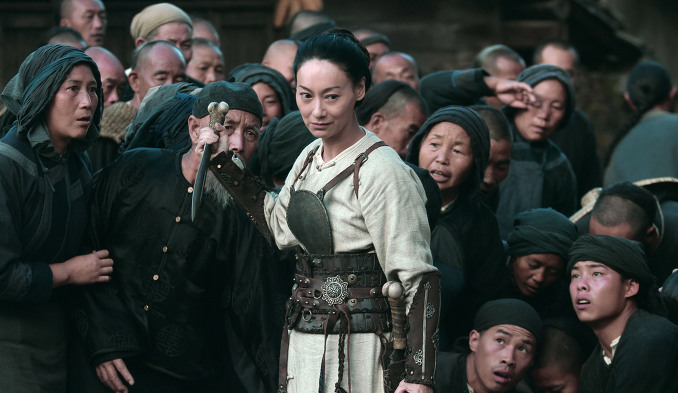 What I was trying to do is to use an angle that could be explained realistically for myself - who is not someone who indulges in the fantasy element of wuxia. So, in actuality, the movie demystifies wuxia to a certain extent. 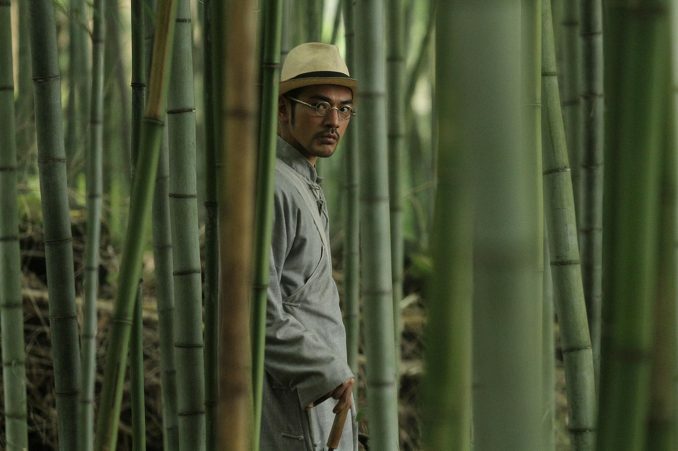 Takeshi Kaneshiro: Older brother (Donnie Yen) is great on the filming set. He peformed in three different roles. First, an actor like myself, second an action actor and lastly a martial arts director. I'm overwhelmed he was able to perform these three roles so perfectly. As we know, an action film is very difficult. Especially nowadays, movie technology & screen technology has developed, so it's difficult for the action to keep up with the movie technology. Older brother thinks about how to develop action and, also as an actor, thinks deeply. Wei Tang: Big difference between Takeshi Kaneshiro and Hyun-Bin is that I talk in Chinese with Takeshi Kaneshiro and in English with Hyun-Bin. Something common to both. For the promotion of "Wu Xia," I travelled to Taiwan. There are Takeshi Kaneshiro fans there called "Takeshi Kaneshiro 's Wives." They are very enthusiastic and I think Hyun-Bin also has also similar enthusiastic fans. During the filming of "Wu Xia," I didn't have many scenes with Takeshi Kaneshiro, but I can tell both Takeshi Kaneshiro and Hyun-Bin work very hard and research their characters. Both are also good actors. Press Question: Every year more and more Chinese films are shown here. Do you think the Korean film market is getting more attractive? Peter Chan: Coming from Hong Kong where all of our films have to be exported, otherwise we wouldn't be able to survive, every film market is important. I think, contrary to what you think, there are not more and more Chinese films in the Korean market. There are actually less and less shown. That's the truth and fact. And I think that's the trend of the world right now. Films are now becoming more and more localized. There are blockbusters in Korea, there are blockbusters in China, there are blockbusters in France and Japan and everywhere else. But, most of the local industries are thriving in their own way. But in a way, it's more or less modeled after the Hollywood sort of blockbusters. Business wise, local film industries have been doing better, but the diversity of films has been less and less. The days of co-productions and working together, between different Asian filmmmakers or different European filmmakers, are long gone. I remember when I first came to Korea, when I worked with a lot of Korean filmmakers, there were possibilities to bring different talents together and work on films outside of the usual model, sort of as an alternative to Hollywood films. I think 10 years later the audience has found an alternative. That alternative is big local blockbusters, including "Wu Xia," which is one of those big local blockbusters made primarily for the Chinese market. It's sad to see that after 10 years films are not crossing over more, but they are actually doing better in their own different territories. So economically, we can survive better, but diversity is getting less and less. It's a sad situation, but that's the fact of it. Press Question: Question for Takeshi Kaneshiro, You have many fans in Korea because of your excellent acting and also good looks. Do you think you are handsome and tell us one actor who you think is good looking from Korea, Japan and China . Takeshi Kaneshiro: In my opinion my dad is handsome and my mom is beautiful. My appearance comes from my parents, so I give thanks to my parents. Regardless if it's a man or woman, depending on area, actors have different charms. Standards of beauty differ. Different languages and cultures allows their own charms, so it's difficult to say. For example, in "Wu Xia" I talk in the Sacheon dialect. When Chinese people watch that they may think I'm charming from speaking in the Sacheon dialect, but non-Chinese persons wouldn't know of this. Press Question: This question is for Peter. You mentioned it's been 10 years since you've been to Busan. During that time the Chinese film industry have undergone increasing changes. How is it for a Hong Kong filmmaker or Chinese filmmaker to make a film now compared to 10 years ago? Could you talk about the audience in China as well. Is there room for more than just blockbusters? Is there a search for wider kinds of film with the increase in screens in multiplexes? Peter Chan: You know this model is pretty much the same everywhere. And the problem in China now, yes economics is really good and you can make really big movies and I've said it a few years ago, it's difficult to get a 1-2 million dollar film financed in China, but you won't have a problem getting a 15-20 million dollar film financed in China. Because, that's the condition people consider for going to the movie theaters. The really big movies and they are so used to watching smaller movies at home. That's really the same situation everywhere else in the world. 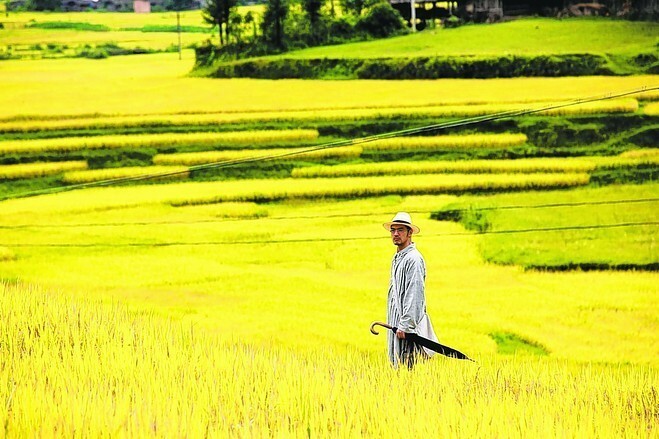 The difference in China is that there's no ancillary rights in China. Everything is basically pirated. All illegally downloaded. That's the problem in China right now. I see that there are more examples of films that are pretty successful in the theater that are lower budget in the last two years. There seems to be a change. China is really underscreened right now. It doesn't matter how many screens you have in a multiplex right now. In a 10 screen multiplex, 8 screens will play the same movie. It doesn't mean when you get more screens you get more choices. It's gonna improve in China when there's more screens, but right now it's terribly under screened. I hope that there are more changes and changes will come faster before all the independents are wiped out. Press Question: My question is for Peter Chan. You talked about the legacy of martial arts films and how it's engrained in everyone's self consciousness. Could you talk about how audiences' appetites changed? Also, whether CGI enhances or hinders martial arts films? 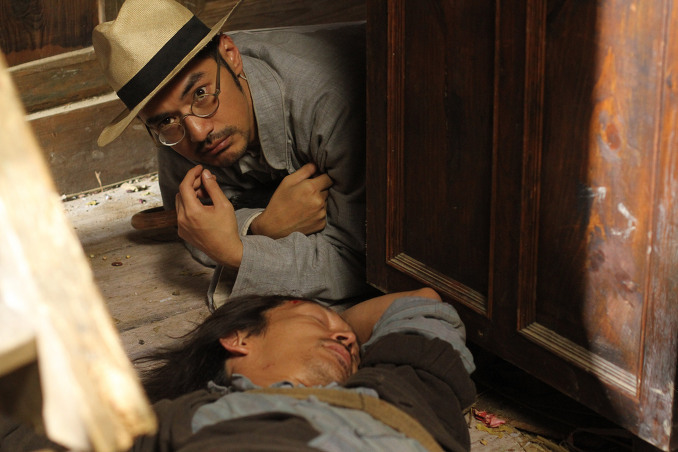 Peter Chan: I think it's sort of like a race, a game, between filmmakers and audience. We keep trying to entertain the audience with new things. 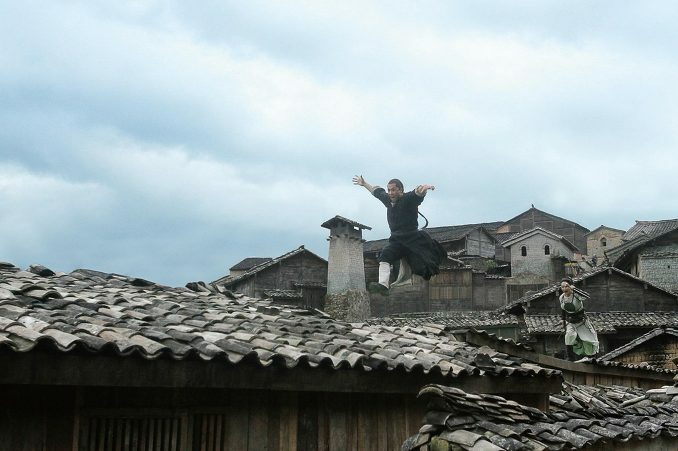 Martial arts has been part of Chinese culture for the longest time. I don't even know when the first martial arts film was made. To me, the most important era was the 1960's - 1970's Shaw Brothers movies. To be more particular, director John Chow movies. I think he was the first to realistically depict fighting, punches, blood. A little more violent than before and more realistic. Even though some might interpret it as more over-the-top. That was when I grew up. I think that's a changing point for martial arts films. Then audience wants more. 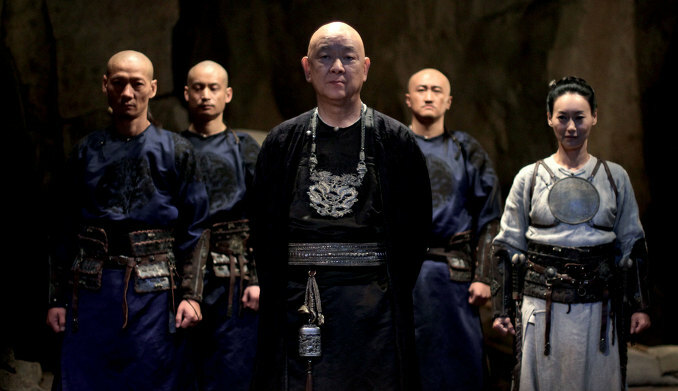 In the 1980's there was a whole renaissance of martial arts films by Hong Kong filmmakers. It borderlined more fantasy in a way. Which is truer to some of the period martial arts novels. People started flying more with wire works. In the 1990's and, even, after the millennium, filmmakers enhanced those fantastical elements by using CGI. It's just a constant race with the audience. Trying to keep up with the audiences' appetite. You keep doing more and the audience keeps wanting more. 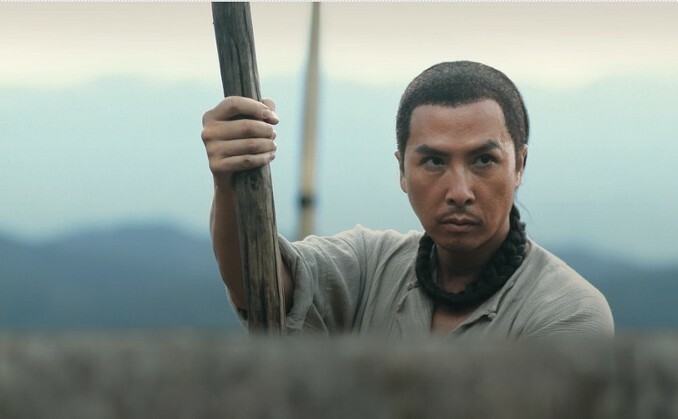 It's an evolution where, when I started making "Wu Xia," what I consider my first action film although "Warlords" is considered by some to be an action film, that I need to find a style that had not been made before. I need to find a style that made sense to me personally. That's why I decided to use the scientific aspect of it to explain every move and by not having people leaping around and not flying around. At the same time, explaining what each punch could do to your body. That was just something that I thought would interest me. That's where I got my start for making "Wu Xia." Press Question: The theme of the movie seemed to be that there is no free will. What do you think of that part. Peter Chan: I'm not sure if that is what the single most important thing that the film has to say. I certainly believe that is a fact in a way were we are so helpless and not in control. I don't even think it is God that controls us or what we call fate or destiny. It's just a series of accidents that makes things happen. Like evolution or creation of the world. I think everything is a series of accidents that contributes to what happens. That's where my belief is, but I'm not sure that's what the movie is all about, but it's certainly a part of it. Press Question: This question is for Takeshi Kaneshiro, You changed a lot in this movie. What point did you focus on when you were acting? For about 20 years you have been a top star in Asia. Tell us what your own special charms are. For Wei Tang, do you know Hyun-Bin is in the military and what would you say to encourage Hyun-Bin? 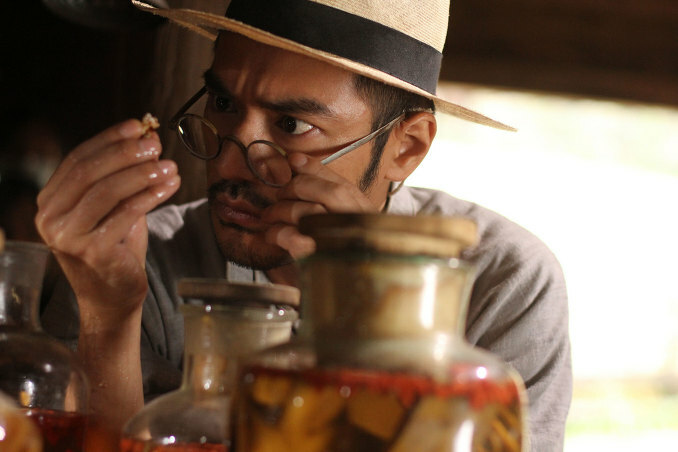 Takeshi Kaneshiro: I don't know what charms I have. I just work hard and do what I like to do. The process of making a movie is fun so I just have fun with it and through making movies I learn a lot. For the last 20 years, I haven't thought about what I should do or become. I just likes making movies and being on the film set. Wei Tang: I would like to ask the press here to let the public know I thank the Korean fans. Whenever I come to Korea and I get off at the airport I get the feeling that I am getting more familiar with Korea. To Hyun-Bin I would say stay healthy and take good care of yourself. Press Question: Congratulations on your birthday Wei Tang. Wei Tang: Thank you. My birthday was on October 7. I spent my birthday with friends in Busan. Press Question: I think there is a puzzle in the movie. For example Jin-Xi says I am coming in the afternoon when he leaves. Ayu mentions that she is going to meet somebody in the afternoon. Are those hints that tells the audience something? Peter Chan: Ayu has a tough life. She lets her husband leave in the morning and can't even tell him to come back for dinner at night. At last, Ayu gives a hint that finally he is able to have dinner at night. That gives hope.